Operation Conversation: Cops & Kids – All Stars Project, Inc.
Operation Conversation: Cops & Kids (Cops & Kids) is an innovative police-community relations model program run by the All Stars Project in partnership with the New York City Police Department and the Newark Police Department. The program uses performance, improvisation and conversation to help inner-city teenagers and police officers develop a positive relationship. Cops & Kids uses the power of performance to create a new kind of relationship. The program is designed to foster positive interactions between the police and inner-city youth. It consists of a series of community workshops that use performance, improvisational games and conversation to help teenagers and police officers to develop and improve their relationship. Cops & Kids changes the environment in which police and youth interact. 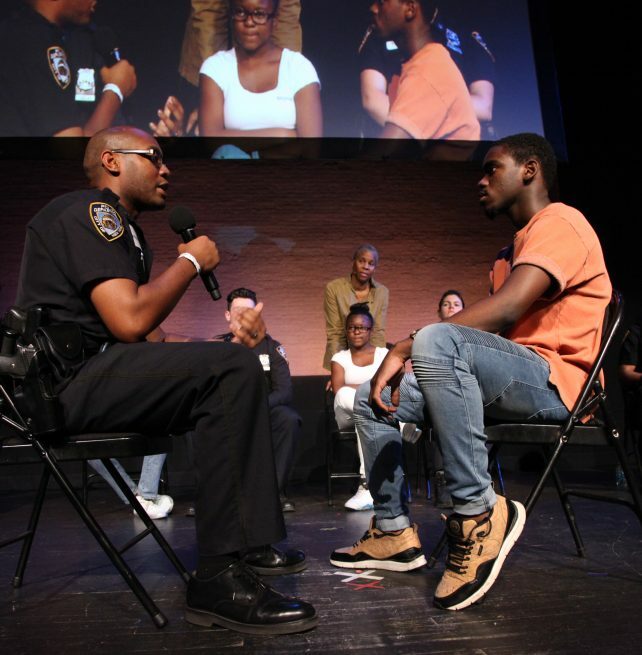 Operation Conversation: Cops & Kids was first created in 2006 by ASP co-founder, Lenora Fulani, Ph.D., a developmental psychologist and community activist, in the wake of the shooting of Sean Bell in Queens, New York. In 2011, the NYPD officially incorporated Operation Conversation: Cops & Kids into the training of its police officers and new recruits. 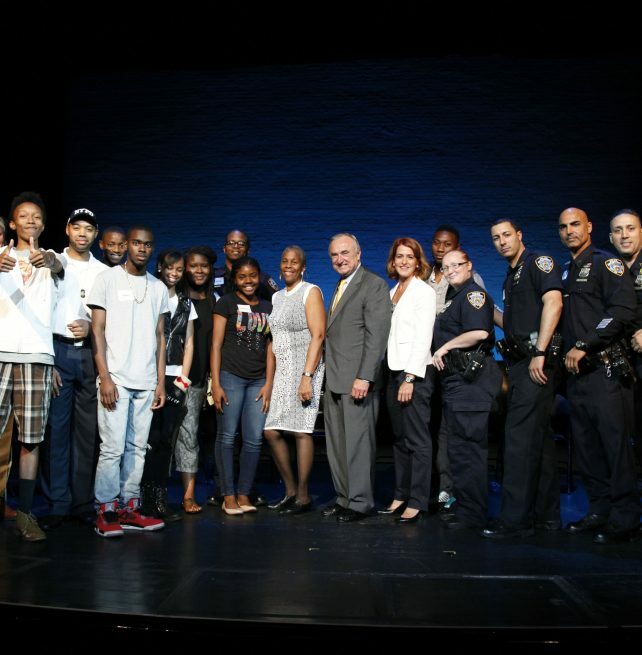 Since the program’s inception, over 9,655 NYPD officers and young people have participated in performance and demonstration workshops throughout New York City. The program has been supported by NY Police Commissioners Ray Kelly, Bill Bratton, James O’Neill. In 2015, All Stars Project was awarded the 2015 IACP and Cisco Community Policing Award from The International Association of Chiefs of Police (IACP) for Cops & Kids, in partnership with the NYPD, for cities worldwide having a population greater than 250,000. Participants agree that performance helps build trust. A survey of Operation Conversation: Cops & Kids program participants conducted in 2013 showed 84% of all respondents said that the experience would positively affect how they would interact in the future. 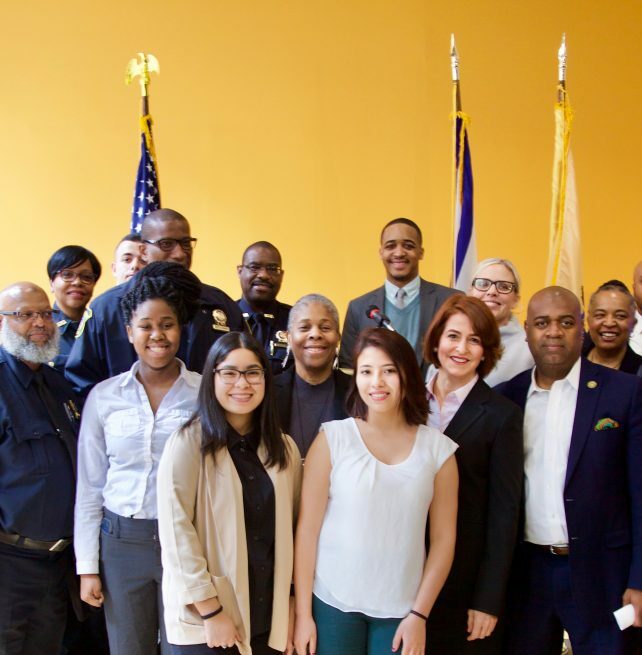 In an important partnership between All Stars and Mayor Ras J. Baraka and the City of Newark, All Stars was proud to launch Operation Conversation: Cops & Kids in New Jersey’s largest city. 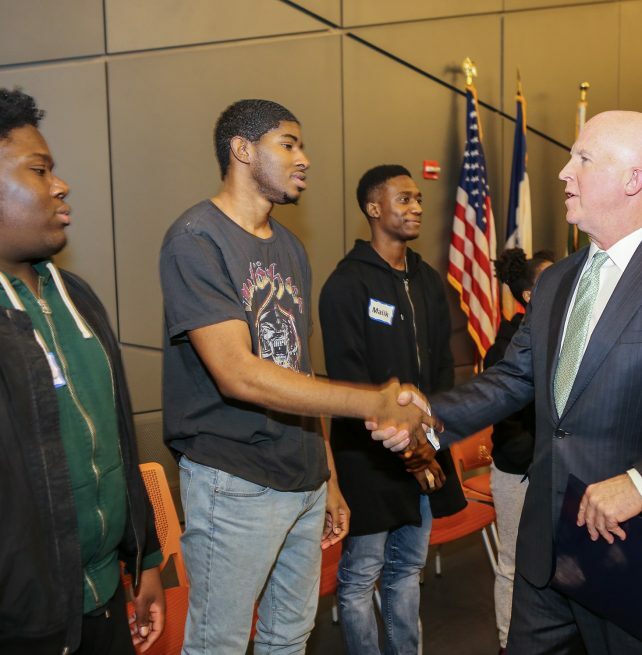 This initiative will involve 300 police officers and young people in 14 workshops to create a new performance of police-community relations in all five of the city’s wards. To learn more about Operation Conversation: Cops & Kids and how to get involved, contact Senior Program Manager Lisa Linnen at (212) 356-8448 or llinnen@allstars.org. Click here to apply to be trained as a Cops & Kids Facilitator.